Walking with sunshine !! ... A solid sterlium sterling silver sun is accented with a central Rutilated Quartz gemstone and solid 10 karat yellow gold 'caviar' balls. The sun outlines of sun rays has been meticulously polished to a mirror like shine and the interior diamond burred to sparkle. Nestled within the suns rays is a bezel set, genuine 8 mm, round, Rutilated Quartz gem featuring gold rutile 'needles'. 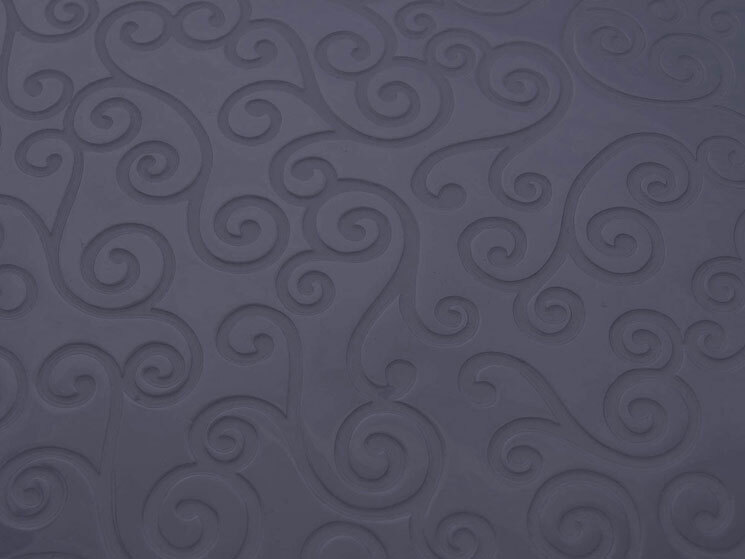 Sterlium is a sterling silver alloy which resists tarnish. The 'Sun' Pendant measures approximately 24 mm in diameter and weighs a total of 4.6 grams. Rutilated Quartz 'Sun' Pendant $429. The rutilated quartz 'sun' pendant is pictured hanging on a Sterling Silver, 18 " Solid, Diamond Cut, Twisted Box Link Chain. The Box Link Chain can be purchased separately from the pendant. All of the jewelry showcased in the 'one-of-a-kind' collection are artist originals. 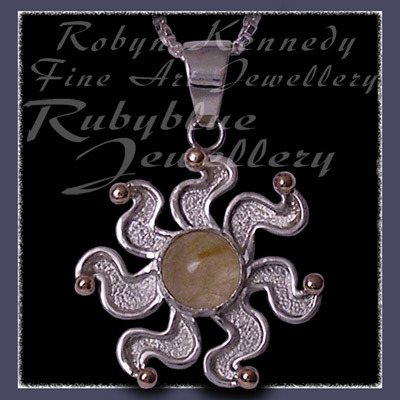 To purchase the Rutilated Quartz 'Sun' Pendant without using PayPal, please contact us by e-mail or phone at Rubyblue Jewellery.